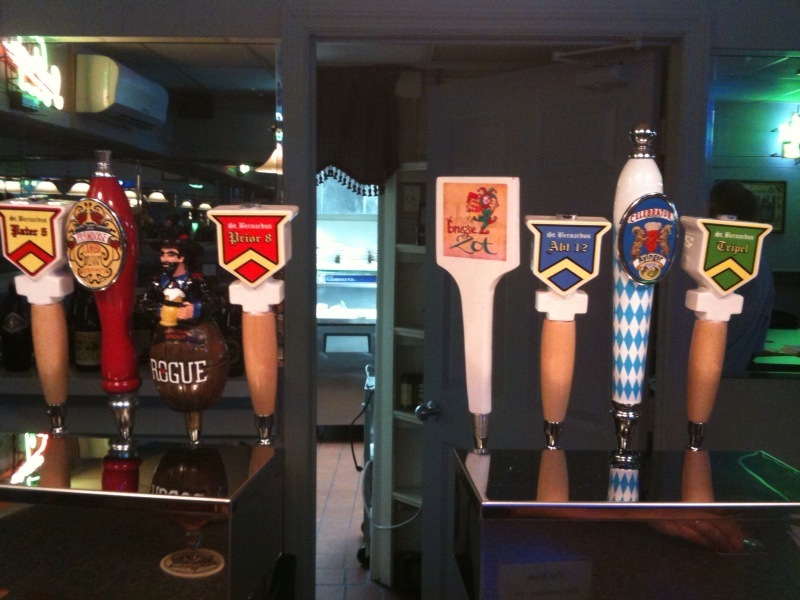 I’m enjoying all of these taps. It is a rough job, but somebody has to do it. My dad’s bar has come a long way. He has over 70 beers available and 10 beers on draft. He has multiple coolers setup to keep the beer at their preferred temperature, too. The building is slowly coming a long, too. The sign at the street is being redone, which is badly needed. 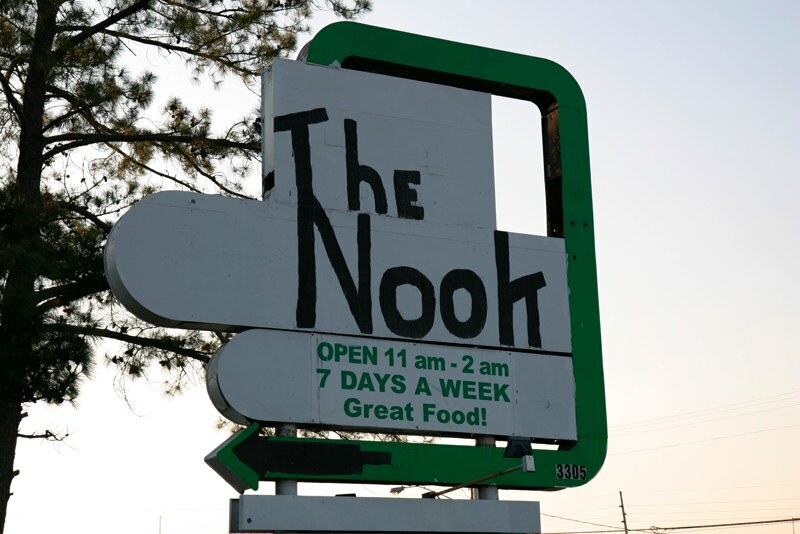 The original sign was painted with what looks like a roller. It is hard to paint letters with just a roller. Both sides of the sign don’t even look the same. 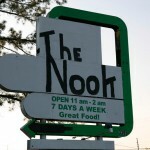 But, this will all be fixed with the new sign. With the sign fix on the way, the inside of the building is the process of being painted to tone down the Irish green that is everywhere. The bar had been Patty’s Pub at one time so everything is covered with bright green and the colors of the Irish flag. They are going the start some radio advertising, too. My dad has not decided the details, but it is in the works. As I have indicated before, my dad purchased a bar. He has been in the process of making the changes he wants to the bar over past few weeks. This week is big for changes at the bar. On Tuesday, his direct draw cooler arrived. 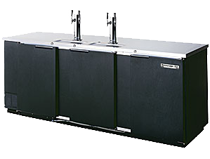 Direct draw cooler is beverage industry speak for draft beer cooler with taps on top. This addition will give the bar up to eight beers on draft and room for storage, which will be great. I hate going to a bar or restaurant to learn that they are out of beer. Today, the Glass Door Merchandisers arrived. 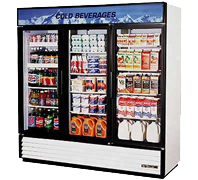 Glass Door Merchandisers is industry speak for refrigerators with glass doors. He wanted the selection of beers to be highly visible to the staff and customers. They are replacing Deep Well Bottle Coolers, which are the coolers normally behind a bar with siding top doors. He has a moving company down there today helping setup the equipment. Because, the equipment has to be lifted over the bar and it weights over 400 pounds. He is hoping to have the coolers all stocked by tomorrow.